The role of Funeral Service in our community can be traced back to the beginnings of our local history. Many changes have occurred over the years. During the latter part of the 1800’s, those who provided funeral goods and services were known as “Undertakers” because they undertook the task of burying the dead. These people were often cabinet-makers who made furniture and also caskets when one was needed. During this time in history, Funeral Service was often associated with furniture stores. Today, Licensed Morticians offer their professional services from fully-equipped funeral home facilities. Locally, the Henry Dobratz family and Walter Quastserved the Hutchinson Community in Funeral Service for many years. In 1911, Henry A. Dobratz purchased a furniture store from G.H. Seibold and established “H.A. Dobratz Furniture and Undertaking” on Main Street. New facilities were built in 1914. In 1925, Walter Quast opened a furniture store and funeral service at 137 N. Main Street in Hutchinson. In 1937, the corner of Hassan Street and Second Avenue became the location of the Quast Funeral Home. This was the first formal Funeral Home established in McLeod County. Funereral arrangements and viewing of the deceased took place in this building or at the family’s home. In June of 1944, Henry Dobratz, along with his sons Floyd and Donald Dobratz, opened funeral home facilities on the corner ofGlen Street and Fourth Avenue and established the Dobratz Chapel. Following their father’s death in November of that same year, Floyd and Donald Dobratz operated both the furniture store and funeral chapel as a partnership until Floyd’s death in 1969. After Floyd’s death, the furniture store was operated by Floyd’s son, Richard Dobratz. Donald Dobratz, along with his son, Douglas, continued to operate the Dobratz Chapel until 1978, when they sold the business and building to Everett Hantge who had been operating his own funeral home in Hutchinson for five years. The Dobratz Chapel was renamed the Dobratz-Hantge Chapel, reflecting the continued tradition of the Dobratz name in Hutchinson. In 1989, Robert Hantge, son of Everett Hantge, returned to Hutchinson after working in Minneapolis to join the firm. A new addition was added to the chapel in 1989, which provided handicapped accessibility, a new family room, a flower room and a garage. In 1991, Everett’s youngest son, Richard joined the firm. Richard had also held employment in Minneapolis prior to returning to Hutchinson. In 1996, the Hantge’s acquired the Dalin Funeral Home in Winthrop and the Hauser Funeral Home in Fairfax from Elden Egesdal of Gaylord. In 1998, a second facility was opened at the Oakland Cemetery in Hutchinson which provided an alternative location for funerals, memorial services, visitations and funeral luncheons. Also in that same year, a Family Services Counselor was added to assist families with prearranging funeral and cremation services. In 1999, a crematory was installed at the Dobratz-Hantge Funeral Chapel to provide our community with full cremation services. In 2000, the Hantge’s purchased the former Citizen’s Bank drive-thru bank building, which was converted into an additional south chapel, providing two chapel locations in Hutchinson. In 2001, the Hantge Family completed construction on a new funeral chapel in Darwin, Meeker County, Minnesota, to better serve the area’s lake home communities. In 2003, the Dobratz-Hantge Chapel on Glen Street in Hutchinson, was sold to Peace Lutheran Church and is now known as Peace Place Outreach Center. In the spring of that year remodeling construction had begun on the south chapel. It was expanded to provide 2 large chapels, a fellowship room, (which provides an alternative place for families to hold luncheons), a fireplace room, and a larger selection room. 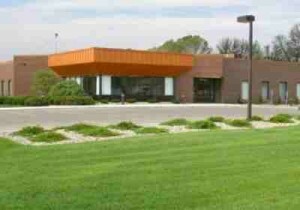 In 2004, the Hantge’s acquired the Egesdal Funeral Home in Gaylord, Minnesota from Elden “Al” Egesdal. Elden Egesdal had been owner of the funeral home for the past 26 years. Elden Egesdal purchased Gaylord’s Quist and Johnson Funeral Chapel in 1977. Egesdal had been involved in funeral service since 1962, and had served the communities of St. Peter, Gaylord and Fairfax, Minnesota. In December of 2009, Bruce and Suzanne McBride, of Glencoe, and Robert and Richard Hantge of Hutchinson, merged their funeral operations.The Hantges,as new owners,retained the McBrides, whohave remained active inthe operation of the business. The Hantges also retained all McBride’s staff and all three chapel nameshave remained the same. Bruce and Suzanne purchased the chapel in Glencoe from Robert Johnson in 1977, and in 1993, they purchased two additional chapels from Kenneth Paul that are located in Lester Prairie and Norwood Young America. In December of 2010, Don and Tammy Hughes, of Hector, and Robert and Richard Hantge of Hutchinson,merged their funeral operations. The Hantge as the new owners of the Hector and Stewart funeral homes, which alsoserve the surrounding areas including Buffalo Lake and Cosmos, have retained Don and Cindy, who havel remained active in the operation of the business. TodayHantge Funeral Chapels continue to care for the special needs that occur at the time of a death in the communities we serve. We believe that the funeral honors the memory of the deceased while helping the survivors to accept the reality of death, and guides them toward the healing of their grief. still owned by the Quast Family. This picture was taken at Esther Quast’s funeral on May 24, 2002. Faith Lutheran Church, with Pastor Lund officiating. John, Martin, Andrew, Ole, Christ, and Nels. with burial at Brookfield Cemetery.